The 2012 edition of the mecca of international book trade, Frankfurt Book Fair, opens today. However, the moment a publishing professional conversant with the maps of book fairs steps inside the hallowed precincts of a book fair, whether it is being held in an upward city Mall COEX in the heart of Seoul in the far-east or at the Earls Court of London on the other extreme of the globe or at Pragati Maidan in New Delhi or in the restless exhibition centre of Beijing or at the Frankfurt Trade Fair or at All-Russian Exhibition Centre, Moscow, he/she knows its lanes and by lanes like the palm of one’s hand even though visiting it for the first time. Like some well-rehearsed exercise evoking déjà vu, one instantly find one’s way to the place of registration, looks for one’s stalls in the directory for the sake of formality as one has already seen the layout and found out the placement of one’s stall on the Fair’s website or has been already notified by the organisers, sets up books for display and gets ready for the Rights meetings—fixed as well as walk-ins and impromptus—which many a time expect one to carry the unstated assignment of being cultural encyclopaedia of your own country! The best thing about this City is that it is not Utopian. It is grounded in deeper human reality of which the market reality is just a part. It can create avenues even for thesmallest publishers publishing in languages spoken by a, say, handful, for example, Estonian, spoken by roughly 1 million people in this European nation of the Baltic region of the Northern Europe,and can have poets like Jaan Kapalinski and historical novelists like Jaan Kross whose works have been translated in all major languages across the world. Indeed book promotion, the cherished ideals of this City, is all about promoting new ideas that carry human civilization on their shoulders. The citizens of this City are, of course, novelists, poets, authors, translators, editors, linguists, grammarians, philosophers, illustrators, literary agents, rights managers, language interpreters, printers, academics, antiquarians, librarians, booksellers, journalists, software and multimedia suppliers and those selling plots in new settlement areas in the form of space at various international book fairs—all directly or indirectly serving the readers. But the best thing about the City of Book Fairs is that it gives faces to the names. Those connected on e-mails across the globe get to meet face-to-face to meet in another fair. These citizens see each other only in one book fair or the other and hence make themselves perfect inhabitants of it by emphasising that social and direct personal relations and networking are major function of the citizens of book fair. No wonder, its citizens attend the launch of the debut work of an author with the zest of birthday parties with the alliances between publishing houses working as contract marriages. As it happens, the resourceful and adventurous ones are able to find partners on their own, for some, matrimonial agencies specialising in ‘match-making’ have to make efforts to organise mass engagement possibilities through roundtables and talks! Building upon these fabulous stories, interesting research are now on to understand the sociological and economic rationale of the success of these direct, face-to-face alliances between publishers, between authors and readers, between authors and publishers and among them all. “As ebook sales rise, economics may dictate that print itself will become a premium product: like vinyl, the preserve of enthusiasts for whom the physical object is a key part of the experience. I consider how the live event may add value here also, through such formats as exclusive souvenir editions packaged with the opportunity to meet the author. I explore how publishing might learn from the changing role that live events have played in the economics of the music industry. As the price of recorded music has dropped, live events are no longer a promotional tool for a recorded product but have become a premium product in their own right, and major artists now sign “360 deals” that package rights to tour and merchandising revenues alongside recording contracts – with both traditional record companies and new players. I examine how publishers might profitably follow suit. Yes, it is a democratic, liberal city run by the reading public for the reading public and by the reading public and its gates are getting opened up to new migrants. Let us find them out—film producers looking for scripts, as the successful focus on cinema at New Delhi World Book Fair show or regular special talks on transferring content from print to visual medium at Frankfurt show; organisations like Army looking for an image makeover as the stall of South Korean Army at Seoul International Book Fair last week showed. When I asked them what they intended to achieve, its spokesperson said they wanted to show that joining army did not mean that you did not get to read and hence they had coined the slogan, ‘make books your cruise missiles’ and were accepting donations for their libraries. A new wave of citizens comprise of those specialising in creating ‘book arts’. They previously occupied the enclave dedicated to book illustrators in this City, but have now branched out, brought in installation artists, sculptors, musicians etc along and have created their own residential areas. 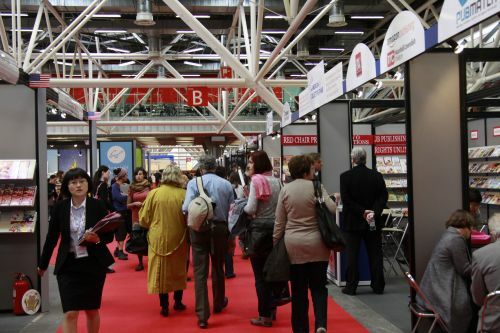 You find them most conspicuously in the Fair dedicated to children books and YAs, that is the Young Adults, held at the cosmopolitan Italian college city, Bologna in Northern Italy. They have been able to add new dimensions--- their stalls presented as an artist’s studio, books nailed and put in chains to show angst against the banned and censored books, fast food vans to display books on cookery etc. 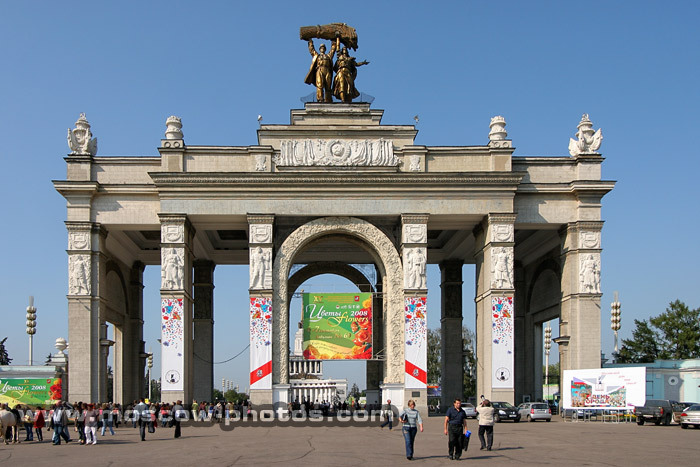 It is a modern, cosmopolitan City, no doubt, but since its economy and culture revolve around ideas, published as well as yet to be published, it traces its origin to the ancientest human past. No wonder, the City has opened up large Special Economic and Cultural Zones/Thematic Towns for its citizens to assert, explore and enrich their identities. Hence we have Christian Book Fairs across the world, World Sanskrit Book Fair at Bangalore, International Antiquarian Book Fair at California, International Women’s Book Fair held in London early this year, International Islamic Book Fair held in various cities in India as well as abroad etc. 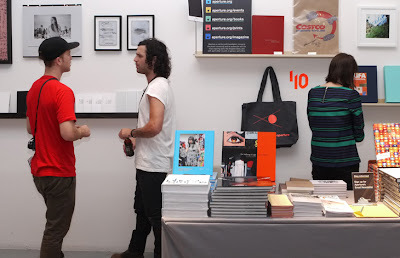 Mention of that fabulous concept of Art Book Fairs happening at various places such as New York, and London would be in the fitness of the things where the book art enclave of Book Fair seems to blooms into its own and make a powerful statement on the collaboration of visual arts and printed books. Those who think that this Global City is only about selling and buying (copy) rights, need to know that this City is founded on the premise of creating space for the other kinds of Rights too which make human civilization worth living and hoping for. Moreover, it also underlines that for all love stories to continue and sustain, physical proximity makes up for an essential part, whether with human beings or with books. Thanks for E-mail of 10 October, 12 on the above subject. It is a very candid view of an insider who is so deeply involved with the publishing world. Book Fairs are indeed an infinite source of knowledge at all levels. I have visited few of these Book Fairs and am interested in visiting more with greater interest. It's indeed a wonderful read. Thanks. I am not a doctorate, though.